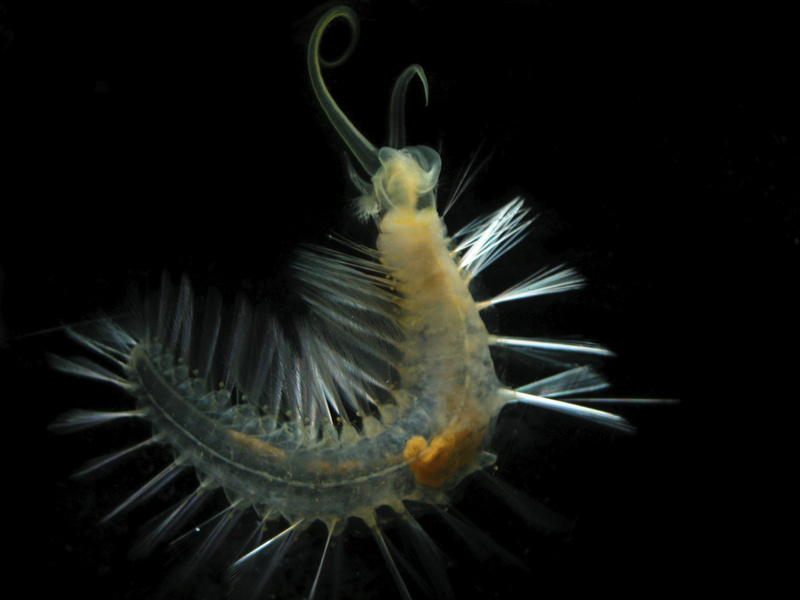 Swima is a genus of polychaete worm that lives in the deep ocean. These discarded gills somewhat resemble green "bombs" that remain illuminated for several seconds after they have been discarded. It is thought that this is a defensive mechanism rather than reproductive, as it is seen in both mature and juvenile individuals.